On National Health Care Decisions Day, you can help yourself and your family avoid uneasy healthcare dilemmas with no clear answer by communicating your healthcare wishes. You may feel you have plenty of time to think about and plan for important end-of-life healthcare decisions. Even when you read this, you may think this article isn’t meant for you, but it is. While it may seem daunting or even frightening, proper end-of-life planning allows you to be intentional and in control during the final chapters of your life. On National Health Care Decisions Day, you can help yourself and your family avoid uneasy healthcare dilemmas with no clear answer by communicating your healthcare wishes. Recently, an 82-year-old patient at our hospital suddenly went into cardiac arrest, which resulted in a severe brain injury and left him unable to express his healthcare wishes. He lacked an Advance Directive, which is a written document informing healthcare providers what care and treatment protocols he would like to receive or not receive. When the patient’s daughter, his only living relative, arrived at the hospital, she insisted her father would not want to be kept alive by machines in this condition. Although the patient had a signed Do Not Resuscitate (DNR) order from his nursing-home physician, Pennsylvania law requires DNRs to be reconfirmed by patients each time they transfer to a new care facility. While his condition was serious and left him unable to communicate, he was not diagnosed with an end-stage condition, which would have allowed a designated representative to make important healthcare decisions for him. The hospital was legally obligated to continue CPR and try to resuscitate him. Unfortunately, this family’s experience is all too common. 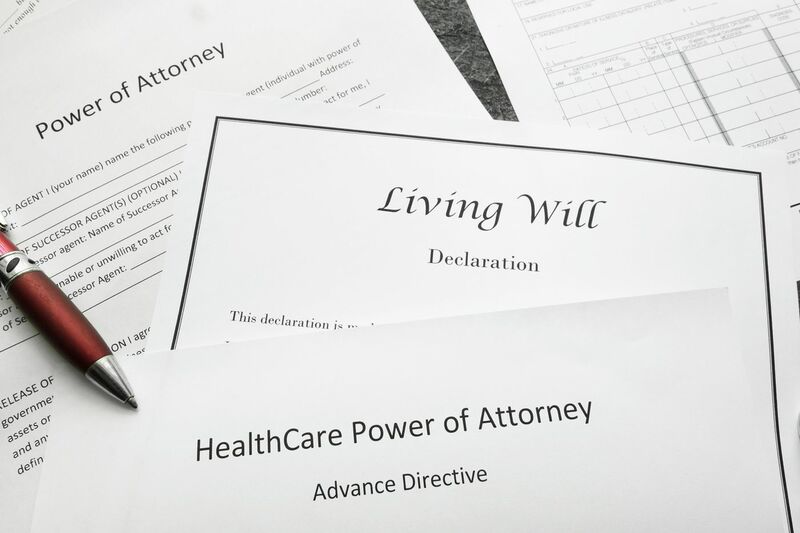 The patient’s wishes could have been honored had he completed an Advance Directive, which could be in the form of a Living Will, a Durable Power of Attorney for Healthcare or both. Pennsylvania law requires an Advance Directive be signed by you and two witnesses. You can revoke or change your Advance Directive at any time. your physician declared you to be “incompetent” — a clinical term meaning you are unable to understand the risks and benefits involved in a proposed treatment option, or you are unable make or clearly communicate a decision. A Durable Power of Attorney for Healthcare is a document naming another person or healthcare agent to be a medical decision maker on your behalf. A Durable Power of Attorney for Healthcare becomes operative when a copy is provided to your physician and you are declared incompetent. Advance Directive forms can be found online or at your local hospital. You and your loved ones can work with hospital care coordinators, chaplains, case managers and other clinicians to obtain and complete these important documents. Like retirement, the earlier the better when planning your Advance Directive. In the end, you will want to ensure ahead of time that your wishes are honored. Thomas J. Chirdo, BCC, is director of mission and spiritual care at Nazareth Hospital.